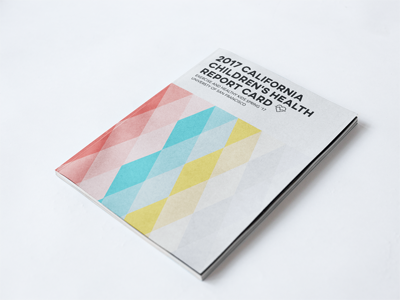 The 2017 California Children's Health Report card was a collaborative research project written by myself and 16 other Kinesiology students under the supervision of Dr. Diana Lattimore, which explored the current health trends in children and adolescents in the Bay Area. 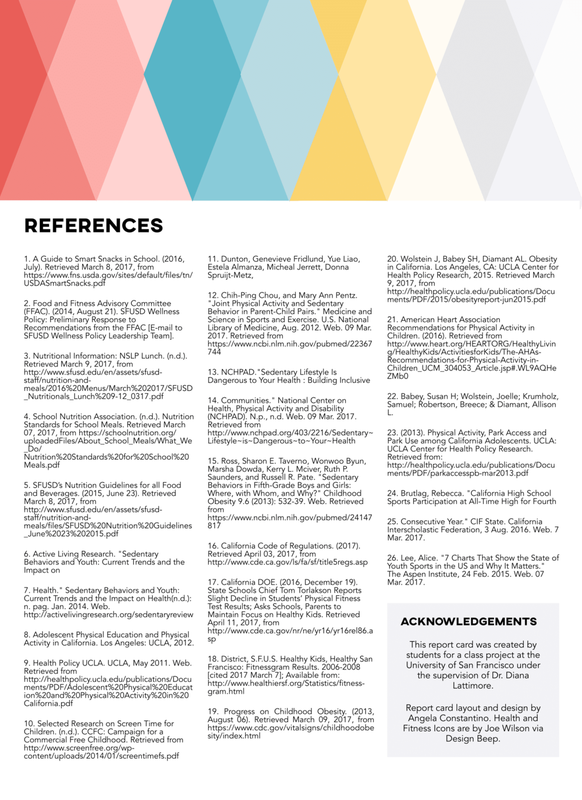 This project was particularly enjoyable as I was able to participate in researching, writing the content, and organizing all the information together in a cute and comprehensive manner. 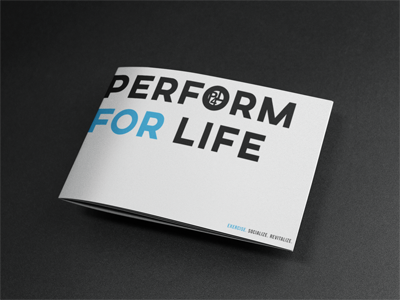 Perform For Life was in its early stages on brand development when I was on board with the marketing team. 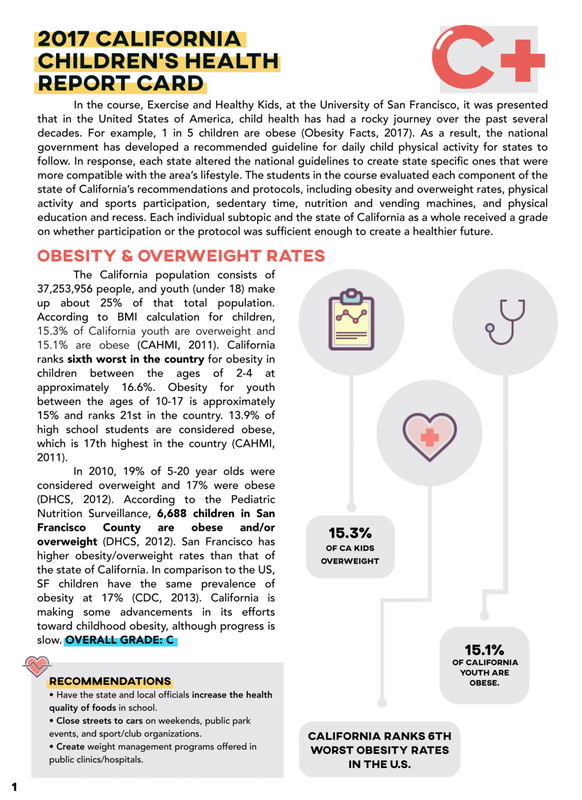 I was assigned to create this minimal brochure booklet with the goal of having people see this booklet and want to take it home and leave it out on their coffee tables. 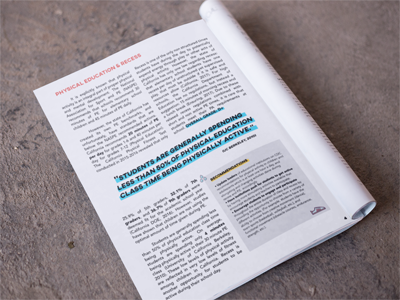 The right-hand side of the open brochure summarized the services and ideals that the company held. The left-hand side featured photos I had taken of the trainers around San Francisco.